What Is Microsoft Excel Online app? Microsoft Excel Online app is Web applications that allows to create and edit Excel documents in a Web browser. Organize and analyze your data in familiar Excel spreadsheets and workbooks. All your changes are automatically saved as you type. Collaborate online in real time knowing that everyone is working with the latest version. Free to use. Just sign up for a Microsoft Office 365 account. 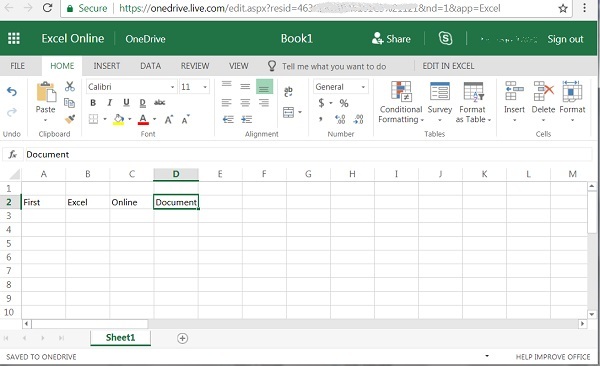 You can create and edit Excel document online with 5 GB storage.